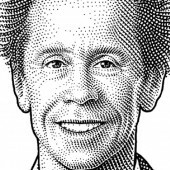 Brian Grazer has been making movies and television programs for more than 25 years. Running total for that output: 43 Oscars, 149 Emmys, $13.7 billion in movie revenue, and a lot of happy television viewers; he also picked up his own Oscar in 2002 for producing A Beautiful Mind. Grazer got his start in producing TV projects, which is where he met longtime business partner Ron Howard; in 1986, the two men founded Imagine Entertainment. Projects in the pipeline include a new season of Arrested Development, which will debut on Netflix in May, and Rush, a Formula One film starring Chris Hemsworth and Daniel Brühl. You can’t see this spring’s hottest TV comedy on TV. But you can see its biggest stars next week, onstage with us. Until very recently, Los Angeles had what some people said was a stunning lack of early stage start-up accelerator programs. It doesn’t have that problem anymore. Apple and Samsung tower over the fortunes for software-only Microsoft or service-oriented Google and Amazon. Although all companies are growing, the value, as defined by the buyer, resides in the whole product.